clara’s cakes now at locali + halloween specials! 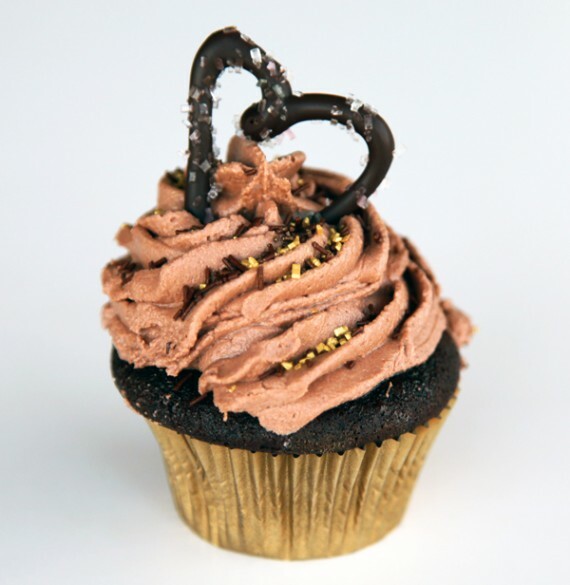 we’re so happy to announce that as of today (at around 11am) cupcakes by clara’s cakes will be for sale at locali! the current flavors are chocolate peanut butter and vanilla raspberry, and they’ll probably rotate from week to week. clara’s cakes is one of our favorite local bakeries, it’s all vegan, and it’s run by a ridiculously cool 14 year old girl. we’re so stoked that these treats will be available on a regular basis. 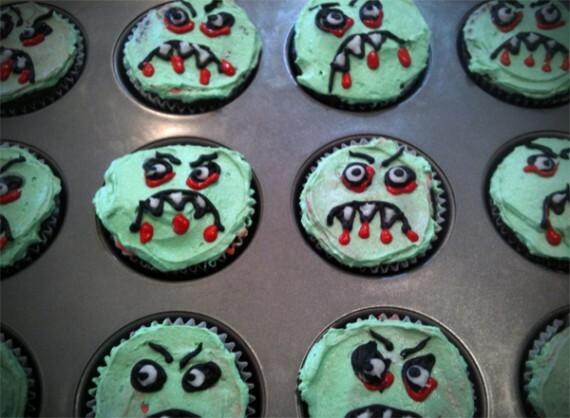 these scary little suckers are made of chocolate cake, filled up with raspberry filling (blood! ), and decorated with awesome zombie artwork. they’re available for a special price of $40 per dozen. 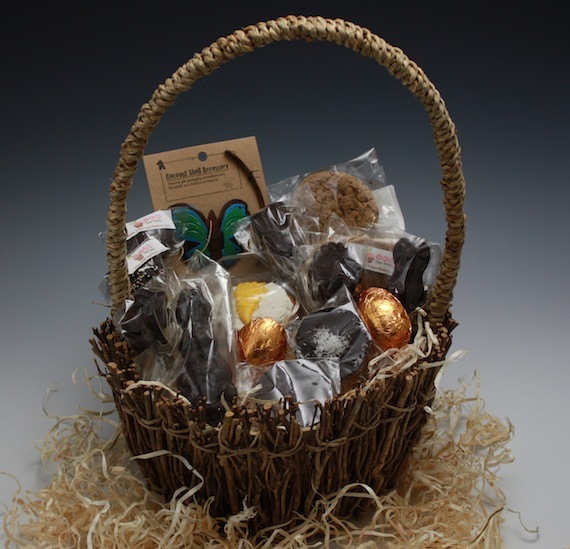 order some for your halloween party, or just because! people won’t be able to tell they’re vegan, i swear. to order, contact info@claracakes.com. for more info on all things clara’s cakes, like them on facebook and follow them on twitter. 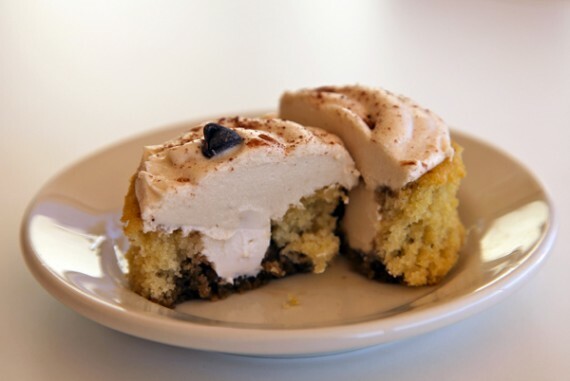 new urban food crawls: pizza, booze, and cupcakes! i’m sure you’ve heard of urban food crawl by now. they host weekly gastronomic tours of downtown LA vegan hot spots, and in the coming weeks they have some pretty sweet events planned. 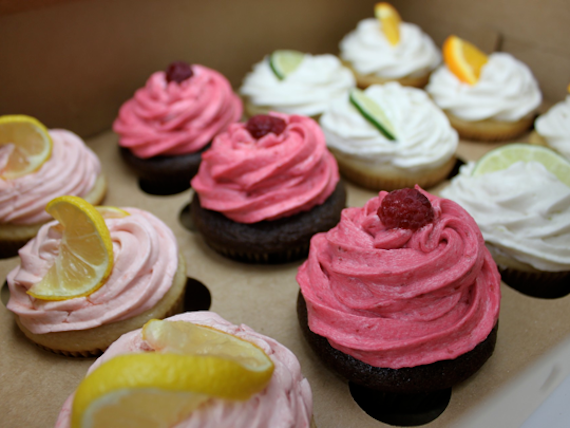 vegan treats from courtesan cupcakes! i have eaten A LOT of vegan cupcakes in my day, and the most recent ones (and frankly some of the best!) were from courtesan cupcakes. you don’t celebrate easter? neither do i, but that’s no reason not to stock up on some amazing treats before the holiday. i know you’ve probably already ordered the chicago soydairy tweets (a vegan version of peeps), but today i’m here to tell you about some local goodies from jam vegan bakery and half baked co. for those of you who live in los angeles. vegan cupcakes and beer this saturday with c’est la v! kim garr, the mastermind behind LA’s popular c’est la ve bakeshop, was recently a contestant on the food network’s cupcake wars. on saturday night, she’ll be selling the goodies she made on the show, plus all the flavors she would have made had she advanced to further rounds. it’s gonna be a vegan cupcake extravaganza! check out the flavors kim will have on hand for you to try (in addition to the midnight chocolate peanut butter cup pictured above). heads up, angelenos! the newly-established JAM vegan bakery is hosting a grand opening sale this saturday, march 12th from 8am to 3pm in los feliz. we’ve already witnessed one local vegan take the crown on the food network’s cupcake wars, let’s hope it happens again this tuesday! get to locali today for clara’s cakes! got plans today?! 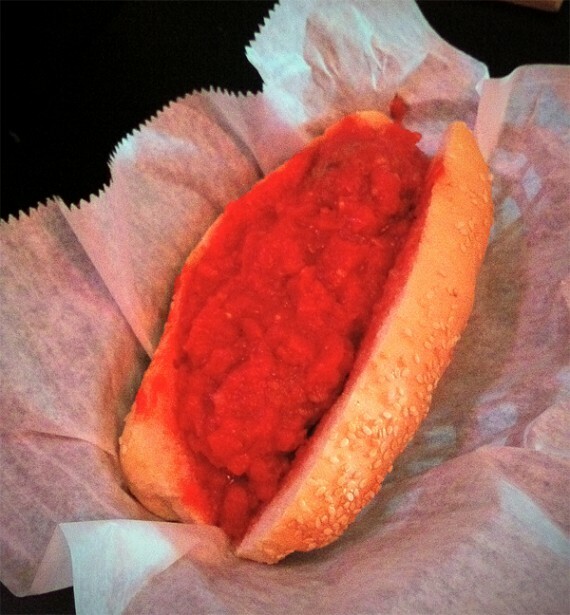 why don’t you head over to locali and support one of our favorite vegans ever, clara polito. the 13 year old baker behind the delicious clara’s cakes is holding a bake sale to raise money for a school trip to new york. let's send this girl to nyc! 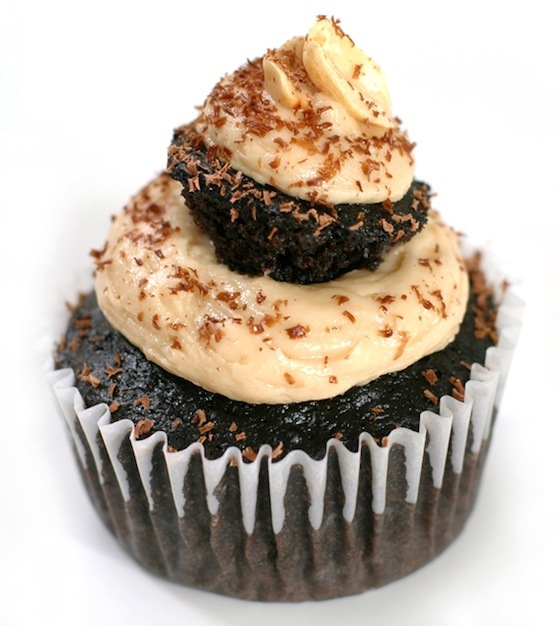 healthier vegan treats from half baked co.
want rich and creamy cupcakes without the guilt? try out half baked co, a vegan-friendly online bakery based out of burbank that makes “deceptively healthy” treats with half the fat, calories and sugar. half baked recently sent me some of their goodies to try, and was completely overwhelmed by how delicious they were. as she was handing me the box of cupcakes, half baked founder carolyn cannon explained to me that she was a very healthy eater and would only bake treats that she would eat herself. i’m happy to report that she has done an amazing job emulating the rich decadent taste of “normal” cupcakes, and none of the the excess fat, sugar, or animal products are missed. the first thing i tried was the absolutely fantastic vegan chocolate dipped marshmallow. it was so damn adorable, i didn’t want to eat it at first…but i’m so glad i did. we are talking about a perfectly moist and chewy strawberry-flavored marshmallow covered in silky chocolate and topped with sprinkles. i could have eaten ten of these in one sitting. seriously, you gotta try these…and this month half baked co is running a special discount on the vegan marshmallow sticks! check it out. in celebration of the upcoming vegan pizza day (which you should all be spreading the word and blogging about), i’m gonna make an effort to post more about pizza on the blog throughout january…which shouldn’t be hard, because we eat a lot of it! 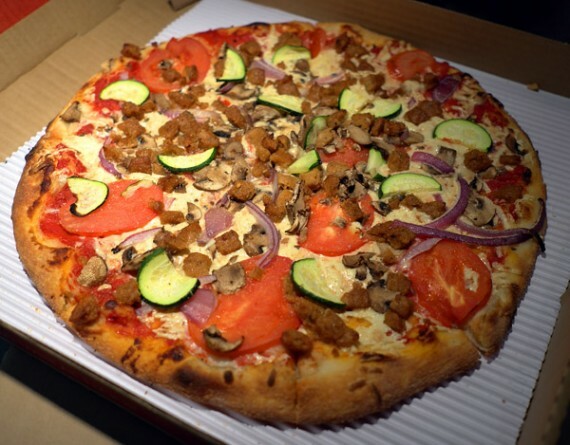 there are TONS of vegan-friendly pizza joints in los angeles, and we think zpizza is one of the best. we even added their amazing tuscan pizza to our vegan bucket list, it’s that damn good. another awesome thing about zpizza is, they’re a national chain and every location offers vegan pizza! so even if you aren’t in LA, you may very well have a zpizza near you. sweet e’s storefront opens! vegan cupcakes & more! 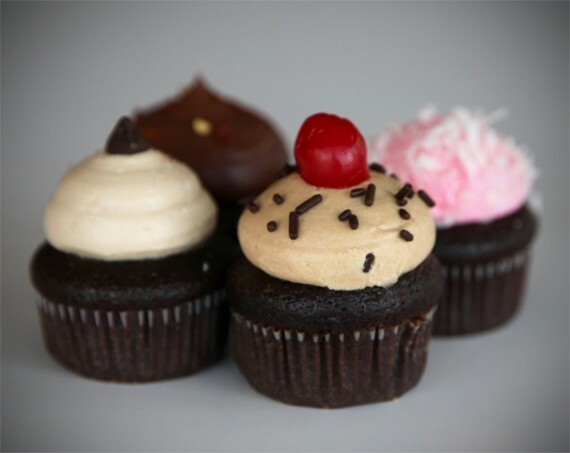 we all know vegans LOVE cupcakes and now LA folks can get their fix at the newly-opened sweet e’s storefront in beverly hills. 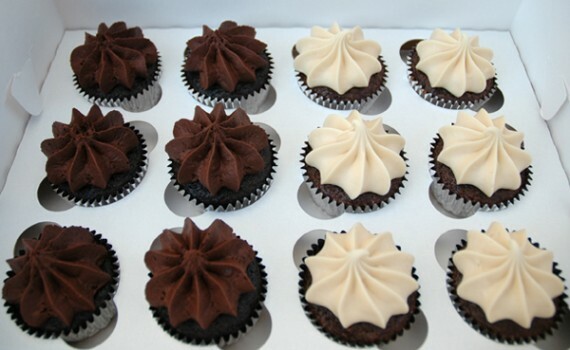 vegan cupcakes from clara’s cakes! 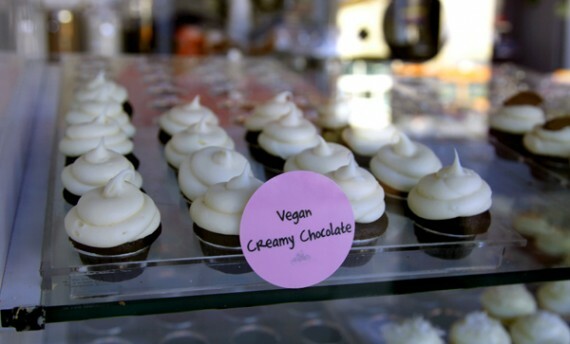 there are a lot of vegan cupcakes available in los angeles, but i can say from what i’ve tried that clara’s cakes are some of the best. the blogosphere has been buzzin’ about clara’s cakes for a while, so i was super excited when i got a chance to try them yesterday. i’m happy to report that they exceeded my expectations, and i’m already plotting my next cupcake indulgence. 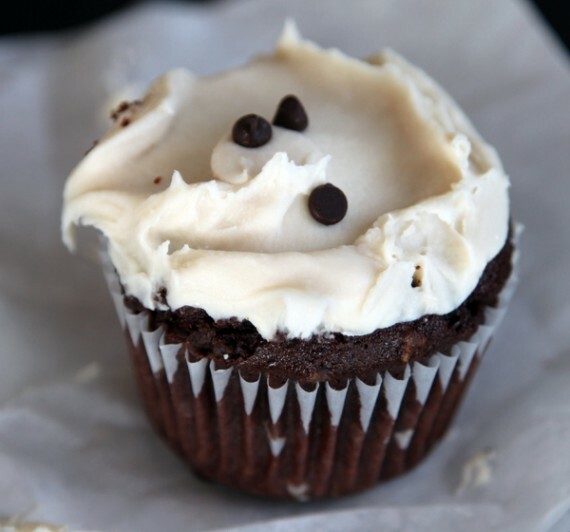 the moment i tasted the rich cheesy frosting, i knew this was going to be a good cupcake…but when i got to the cream cheese espresso filling center, it blew my eff-ing mind! (keeping the language in this post clean, for the kids!) seriously, this thing was incredible. the cake was all soft and moist, and the frosting was luscious and creamy. to be honest, i usually get pretty bored with cupcakes once the frosting is gone. i have been known to only eat the frosting and discard the cake. 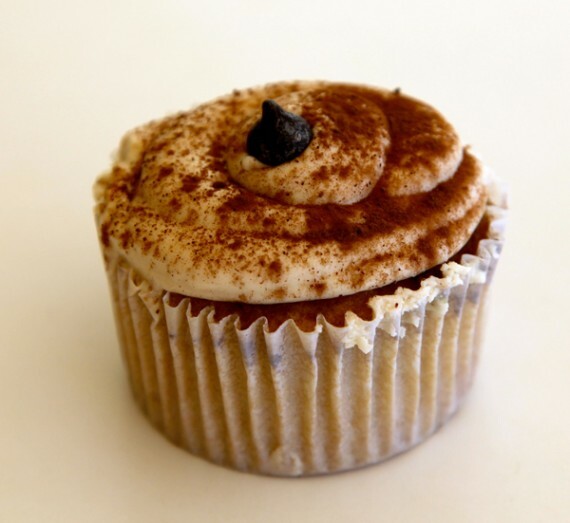 not with clara’s cakes though, these tiramisu babies had frosting in the MIDDLE to keep me happy all the way through. the center of the cupcake was the best part, all gooey and coffee-flavored. after trying the tiramisu, i’m dying to get a taste of clara’s other flavors. her menu is pretty creative, with stuff like bubblegum frosting, and vegan cupcake flavors including thin mint, orange dreamsicle and neapolitan. you can order cupcakes online from clara’s website, and i highly suggest you do so ASAP. there is also going to be a bake sale next month at locali to help raise money for clara’s school trip to nyc, so mark your calendars! let’s show this young vegan baker some support…i promise you won’t be disappointed. PS: i also got to meet clara herself yesterday, and she is rad. 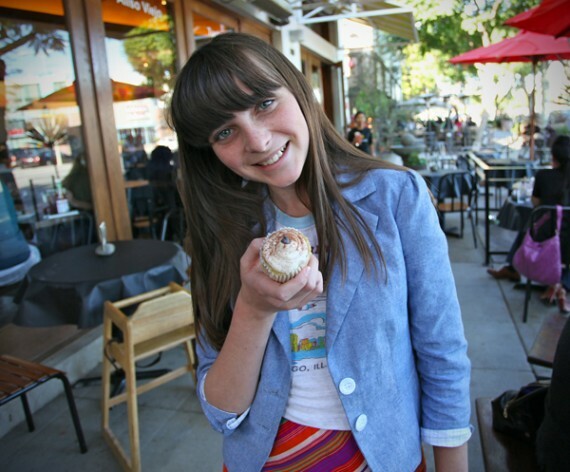 read her musings about animal rights, vegan food, and cool music at her blog, clara in veganland. babycakes now available at m cafe! 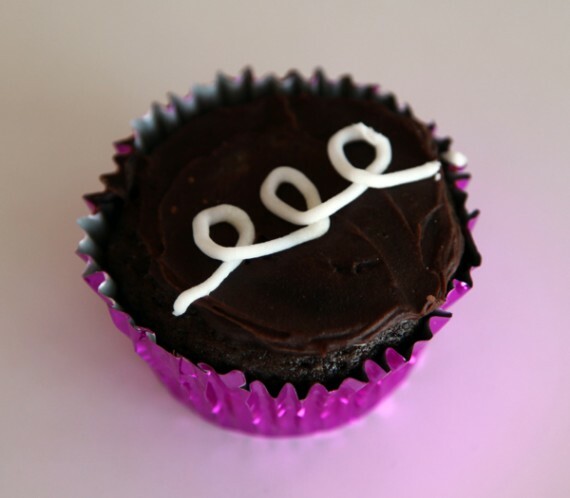 hey cupcake lovers, i’ve got some great news for you! 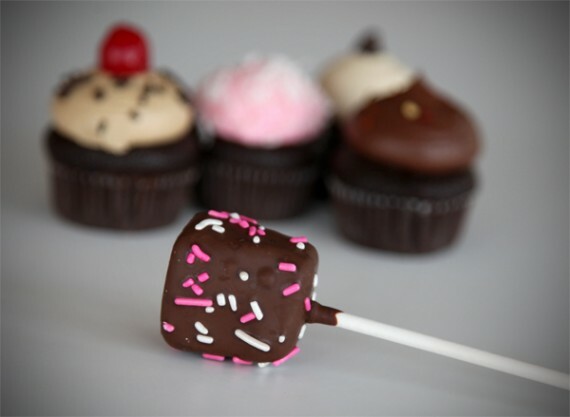 in case you haven’t already heard, babycakes treats are now available at all three los angeles m cafe locations! babycakes goodies that m cafe currently stocks include 5 different cupcake flavors, brownies, macaroons, cookies, biscuits, muffins, and crumb cakes. wowza!